Tea is enjoyed at family gatherings, during breaks at work and in cafés. Black tea is traditionally served with lemon and sugar or honey. 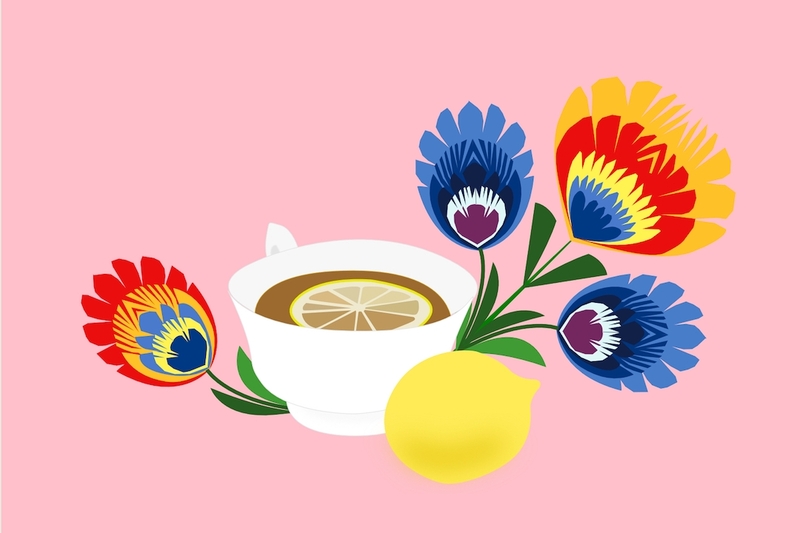 Poland also has a long tradition of herbal and fruit teas, which are taken as health remedies or simply to enjoy the sweet flavours. We look forward to hosting our next intercultural Tea & Coffee Gathering, in collaboration with PolskaEire Festival Limerick, when we will be serving tea the Polish way. In Poland, tea is often served with a dessert, and this Friday we’ll make sure to introduce you to Polish herbatniki (biscuits served with tea) and some of the most popular Polish cakes. And of course, we couldn’t miss the chance to eat Polish dumplings: pierogi! World Recipe Exchange is led by Marta Sławińska. The R&D phase was supported by the European Cultural Foundation and Limerick Arts Office. Our programme celebrating European Year of Cultural Heritage 2018 is supported by The Heritage Council.